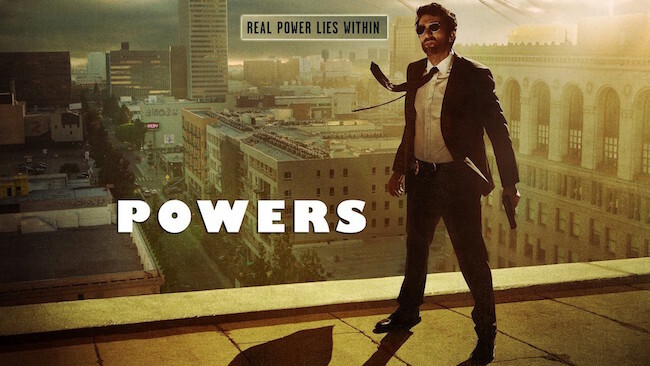 Now that it’s been about a year, as I predicted when the TV adaptation of Powers was first announced as a PlayStation exclusive, the series will now be coming to Sony’s free streaming network Crackle in November. The pilot is now posted. The series stars Sharlto Copley as detective Christian Walker and Susan Heyward as his partner Deena Pilgrim. Together, they investigate homicide cases involving people with superhuman abilities. The show was based on the comic by Brian Michael Bendis and Michael Avon Oeming. It’s also available on DVD.